Order your own copies of the Imperials and Rebels III and Republic and Separatist Adversary Decks at your local retailer or online through our website today! 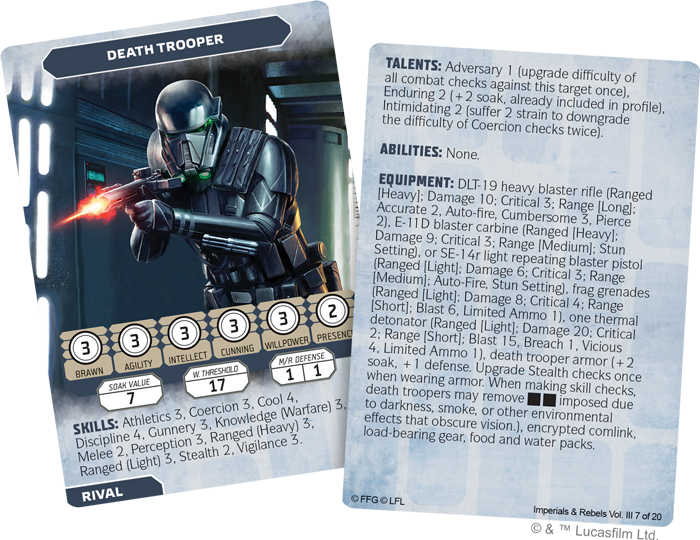 The Imperials and Rebels III Adversary Deck features characters from a wide variety of sourcebooks, helping Game Masters to keep combat smooth and flowing with the abilities, skills, talents, and equipment of these characters all clearly displayed on their card! 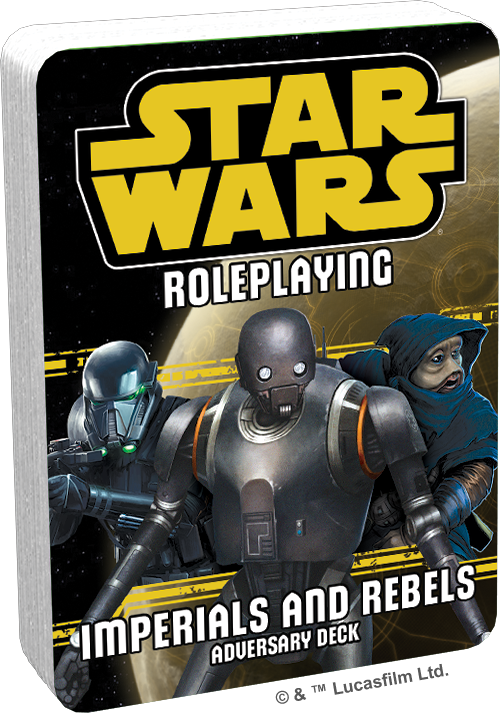 You can easily coordinate battle with Death Star Troopers and Officers, take on various Stormtrooper Specialty Corps, and more! Meanwhile, your player characters can keep their allies close at hand with cards like the dedicated and tenacious Sullustan Resistance Fighter. 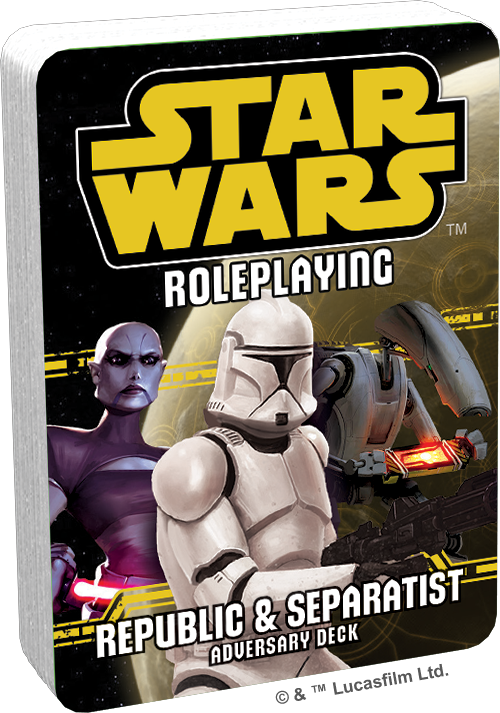 Meanwhile, the Republic and Separatist Adversary Deck brings the characters of the Clone Wars to your tabletop! 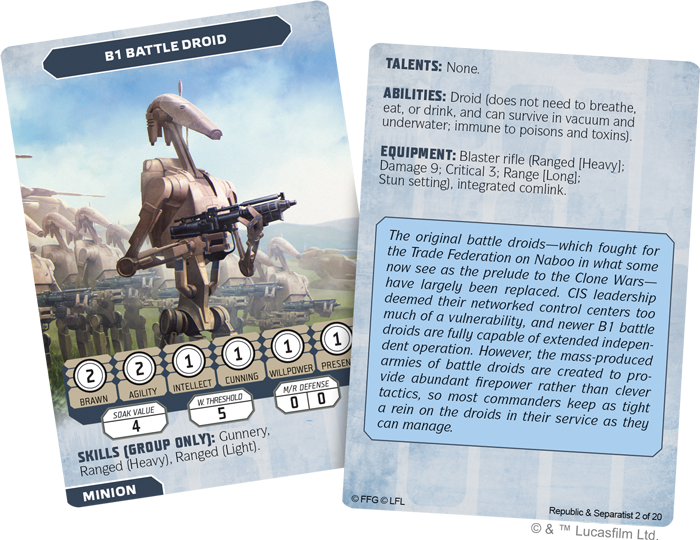 You could easily team up with the genetically engineered Clone Troopers to take on Count Dooku and the Separatist army of B1 Battle Droids. All these characters and more are found in Rise of the Separatists, and this adversary deck keeps them right at your fingertips. The Clone Wars are just beginning, and your characters will need all the help they can get in the trials to come! Battles in the Star Wars galaxy are fast and dynamic, and you can keep your enemies and allies at your fingertips with the Imperials and Rebels III Adversary Deck and the Republic and Separatist Adversary Deck! Keep your games organized with the Imperials and Rebels III Adversary Deck (uSWR13) and the Republic and Separatist Adversary Deck (uSWR14), available now for pre-order from your local retailer or our website!